Belly Button Rings on Sale Now! 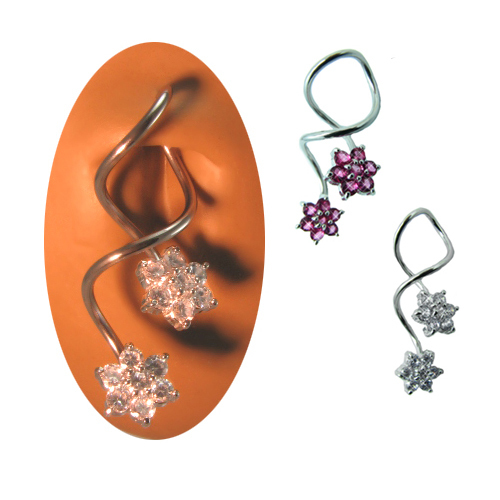 316L Surgical Steel Navel Ring with a twisted post design featuring 2 beautiful Flower Shaped Cubic Zirconia gemstones. These are not small navel rings, please check measurements below. Available in Fuchsia Hot Pink or a very very light purple tinted clear gemstone.